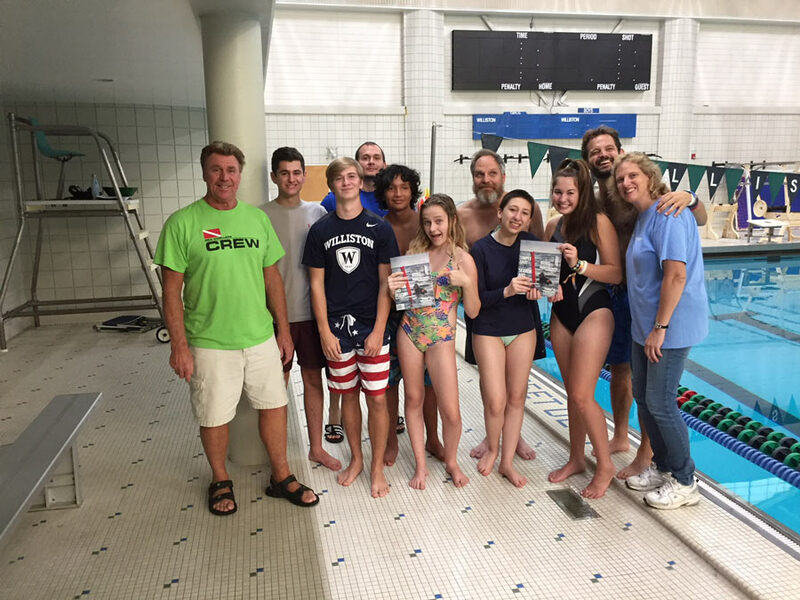 Students from Williston-Northampton School in Massachusetts join Enfield Staff, to complete Open Water Certification for their upcoming trip to the Galapagos Islands. 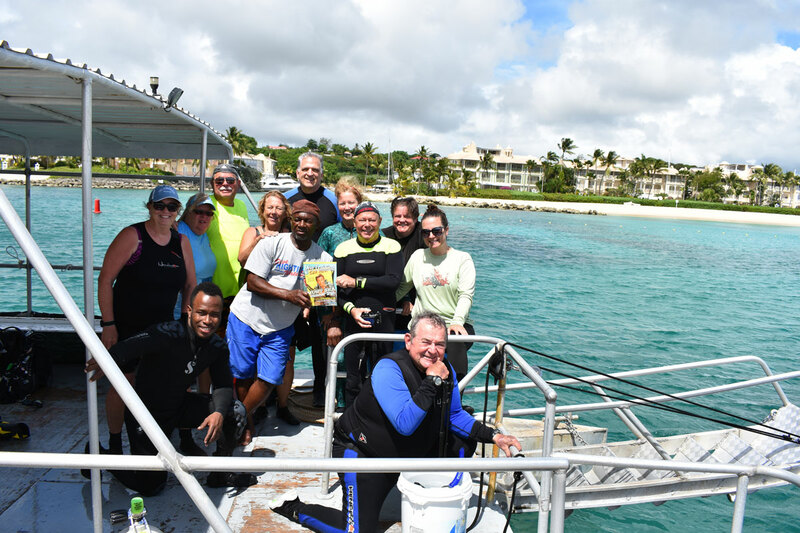 Enfield Divers traveled to Molasses Reef to explore shipwrecks, visiting Sea Dwellers Dive Center in Key Largo. 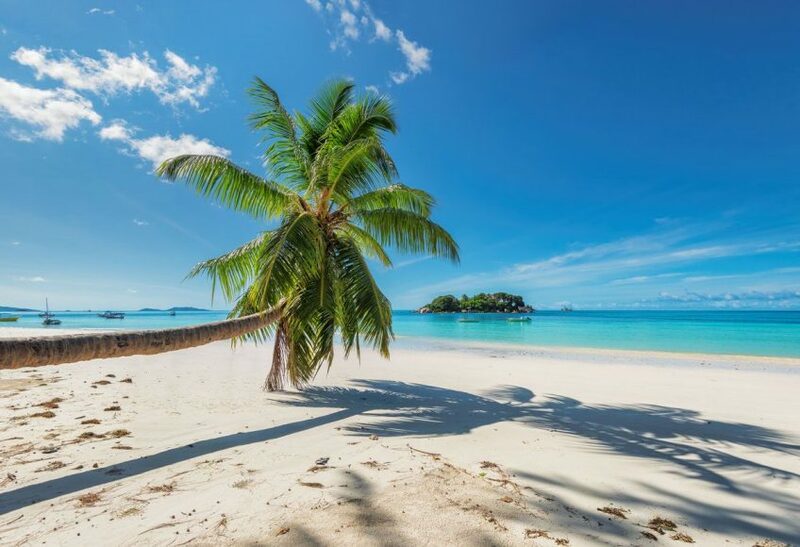 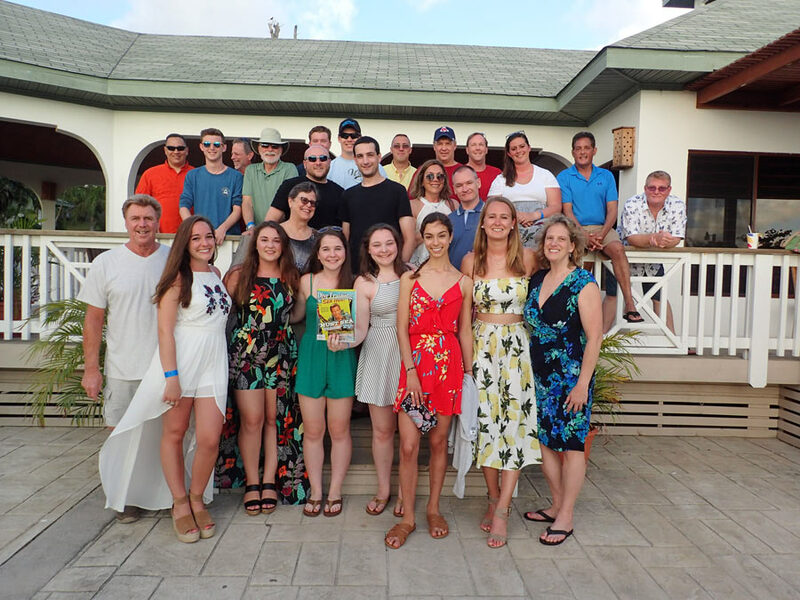 Divers from Enfield Scuba (Connecticut) celebrated their first Shark Dive, with a group dinner at Turquoise Bay Resort in Roatan. 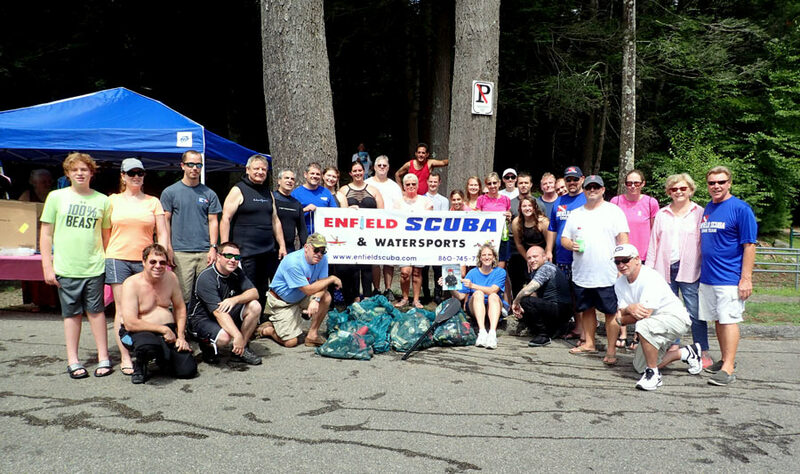 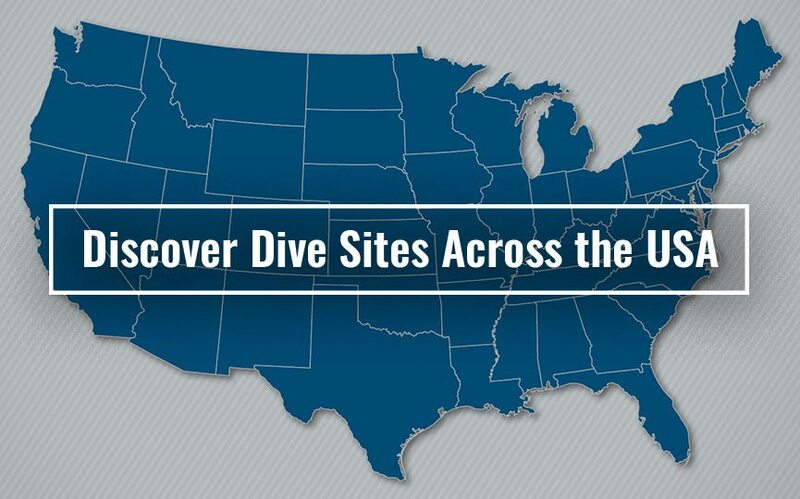 PADI “Women’s Dive Day” was a huge success, with Enfield Divers removing trash during their Underwater Lake Clean-Up at Bigelow Hollow Park in Connecticut. 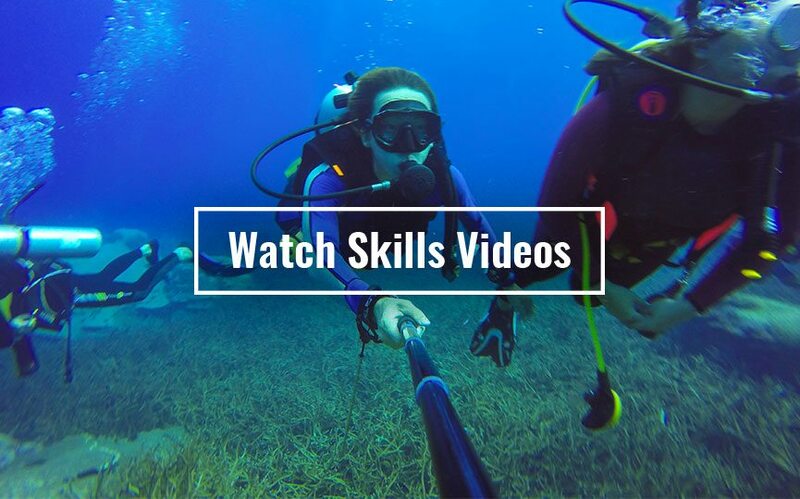 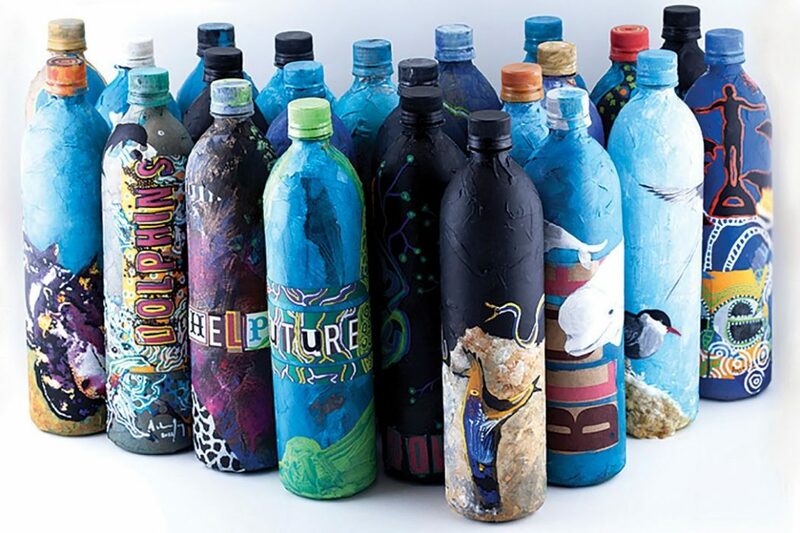 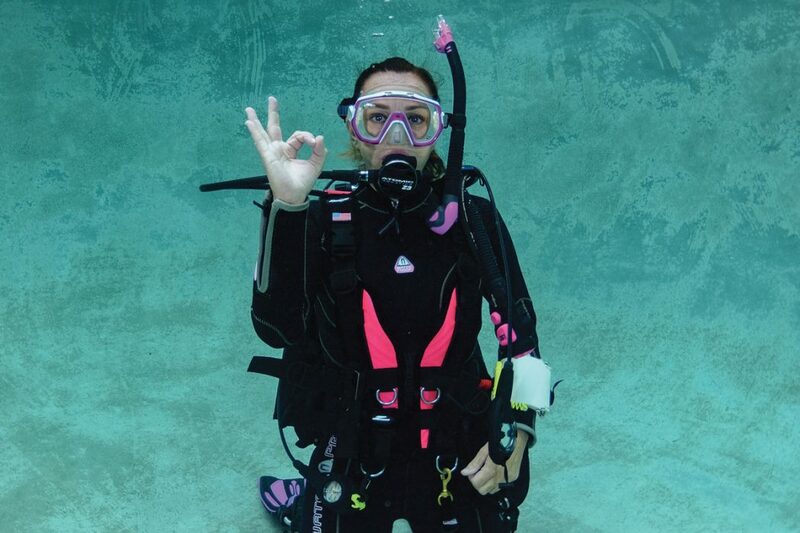 Students from EO Smith High School and Mansfield Center tried on new masks, fins, and hoods – during their first Open Water Class in Enfield, Connecticut. 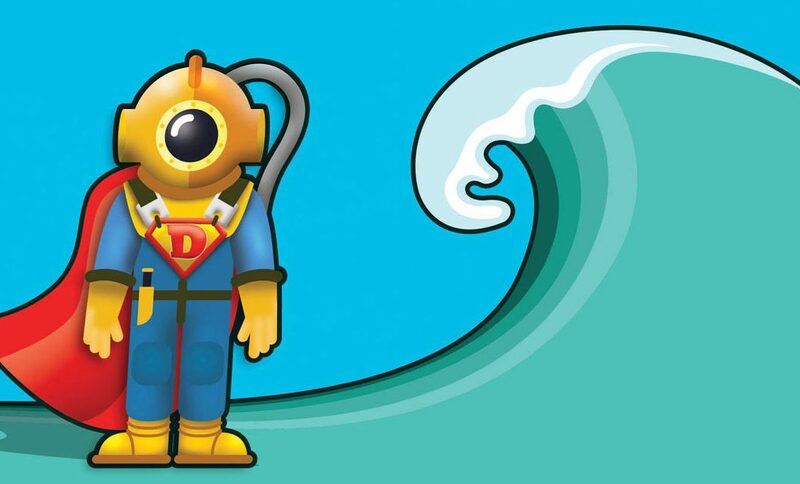 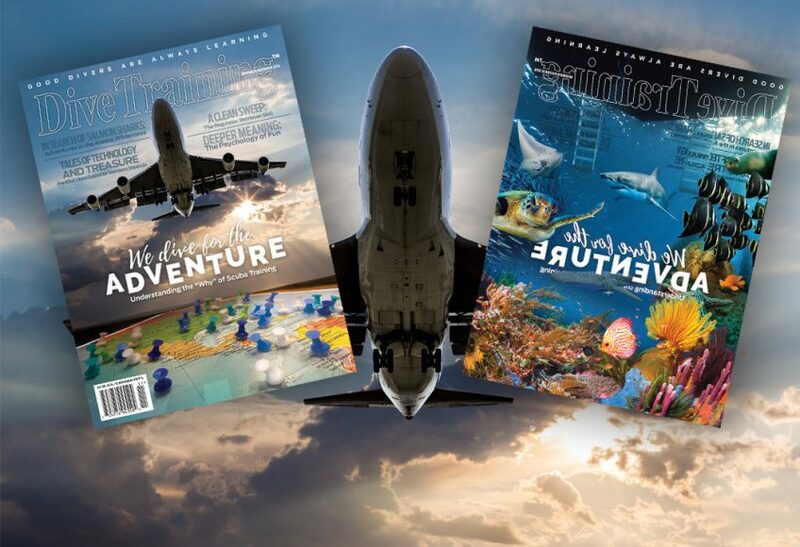 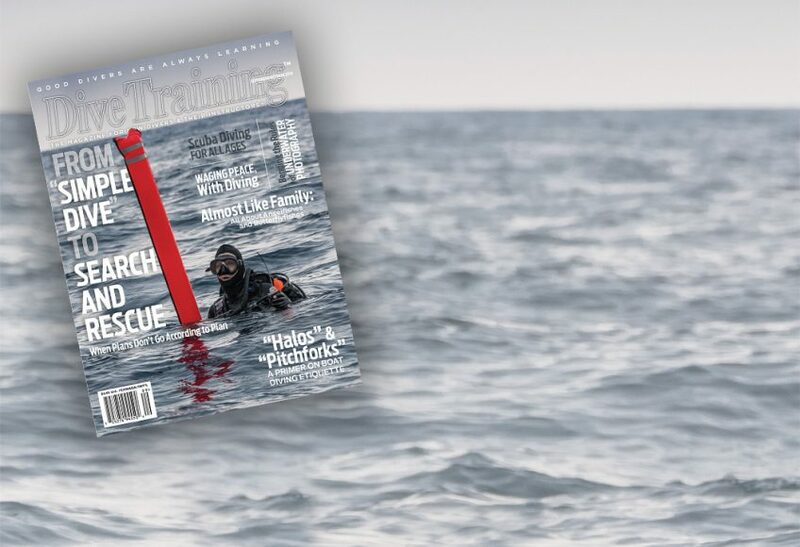 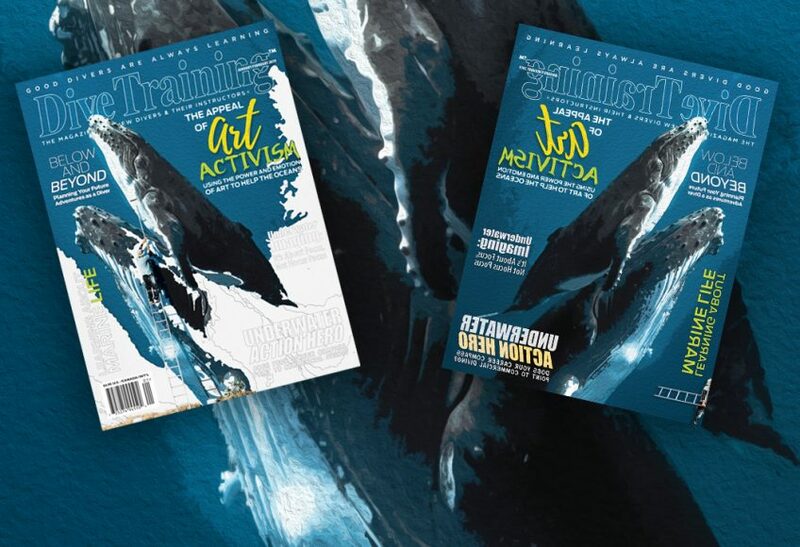 Friar Divers (the Scuba Club at Providence College in Rhode Island) met with Enfield Staff to plan campus events – and review scholarships in the new issue of “Dive Training”. 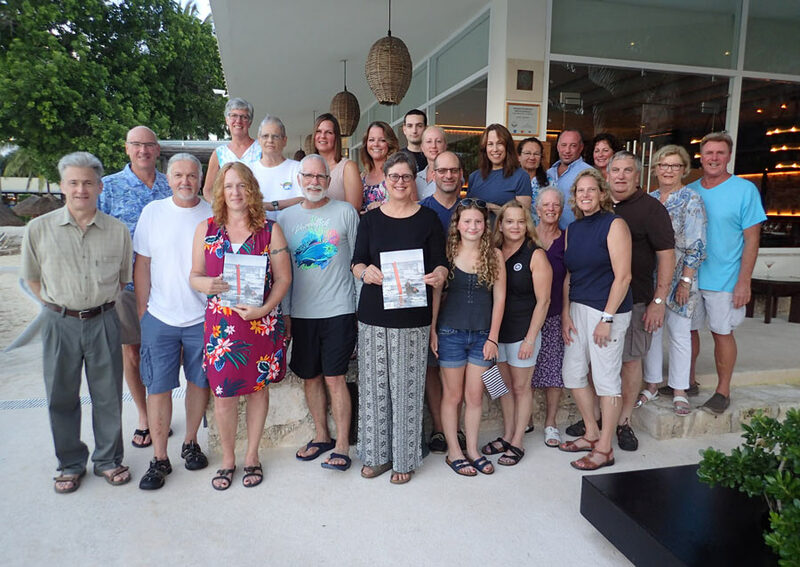 Divers from Enfield, Connecticut enjoyed amazing visibility (and sea turtles) while staying at Hotel Presidente in Cozumel, Mexico. 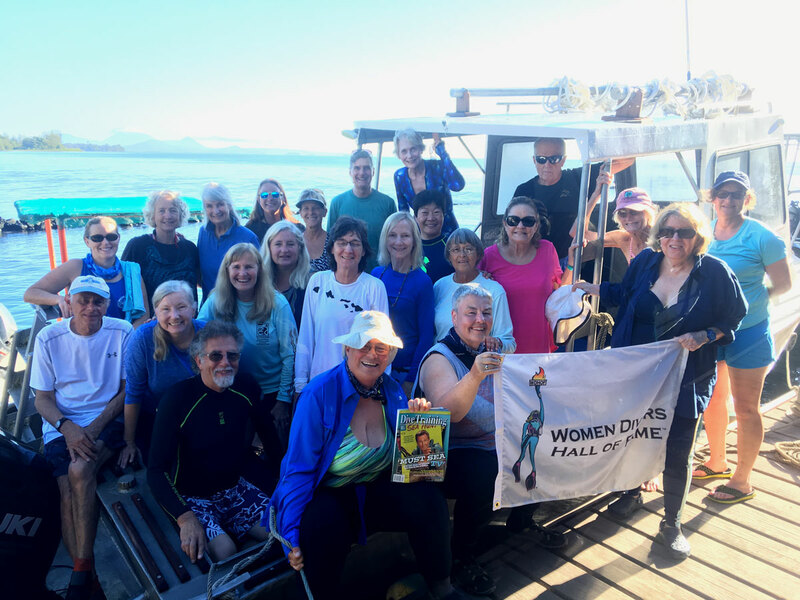 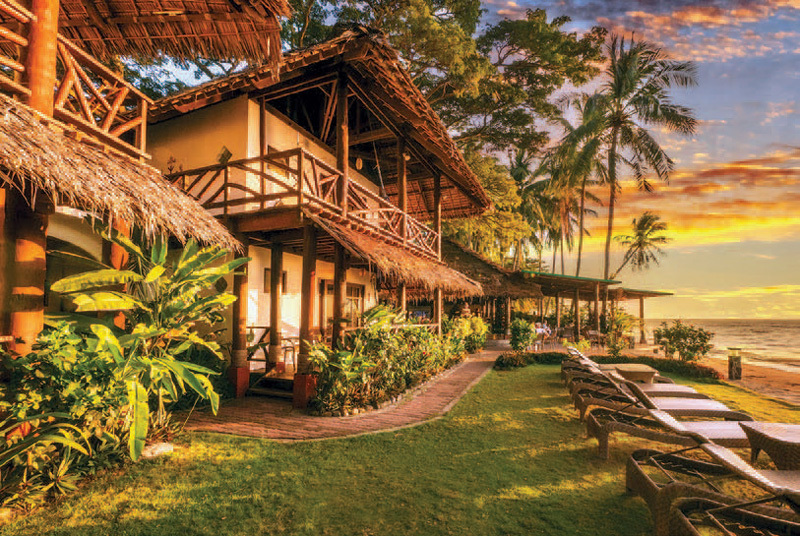 A group from the Women Divers Hall of Fame (WDHOF) made a trip to Walindi Plantation Dive Resort in Papua New Guinea in June. 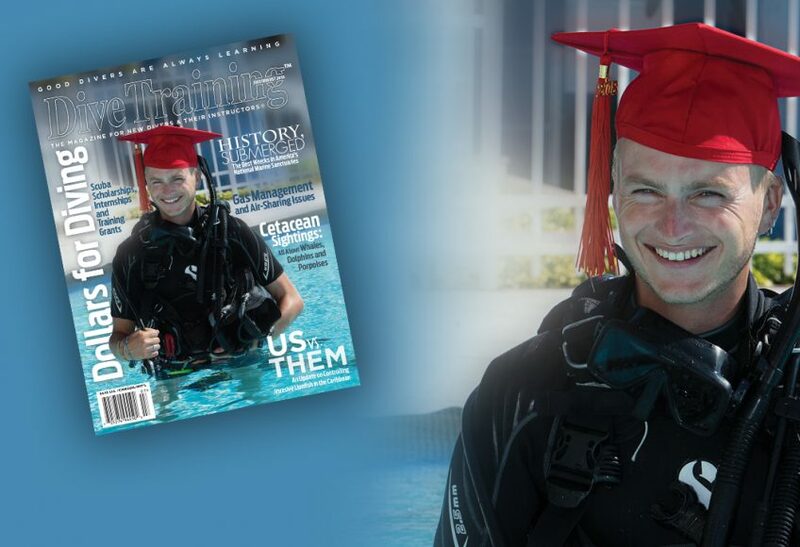 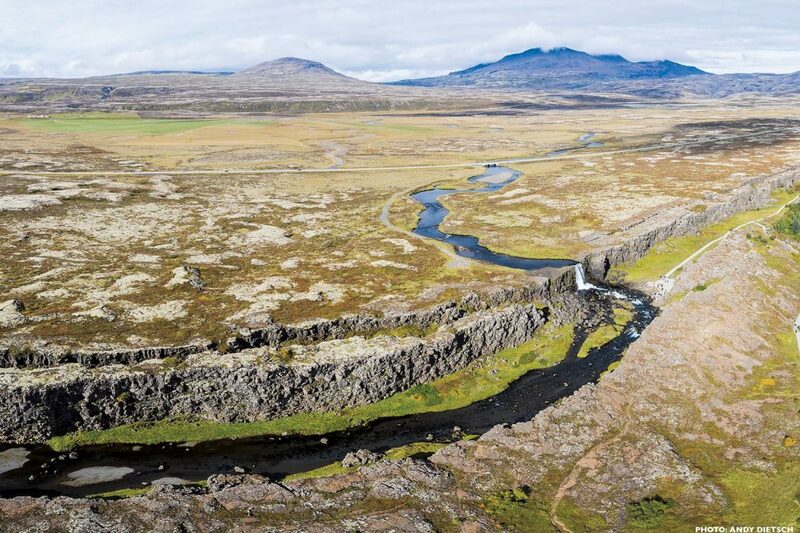 Proceeds from this fund raising adventure support the WDHOF’s scholarship fund. 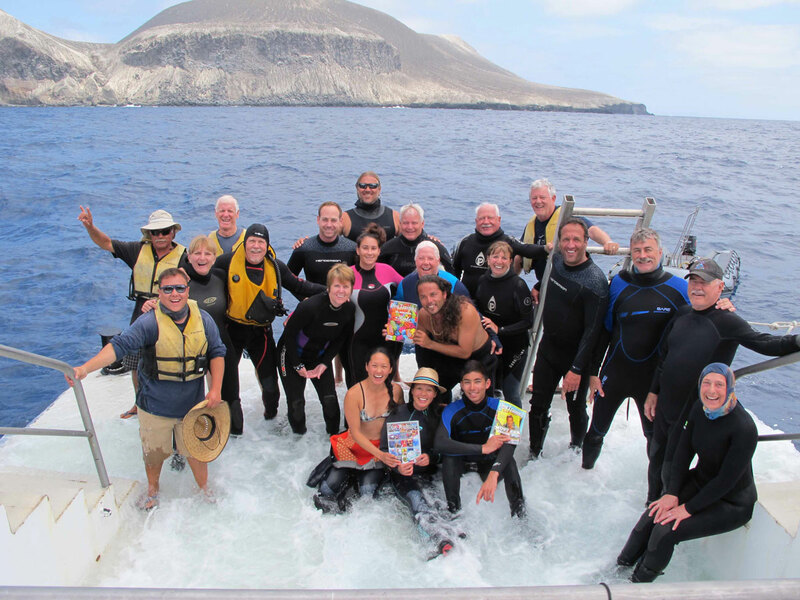 Friends old and new dove the Socorro Islands together with the crew from Nautilus Under Sea. 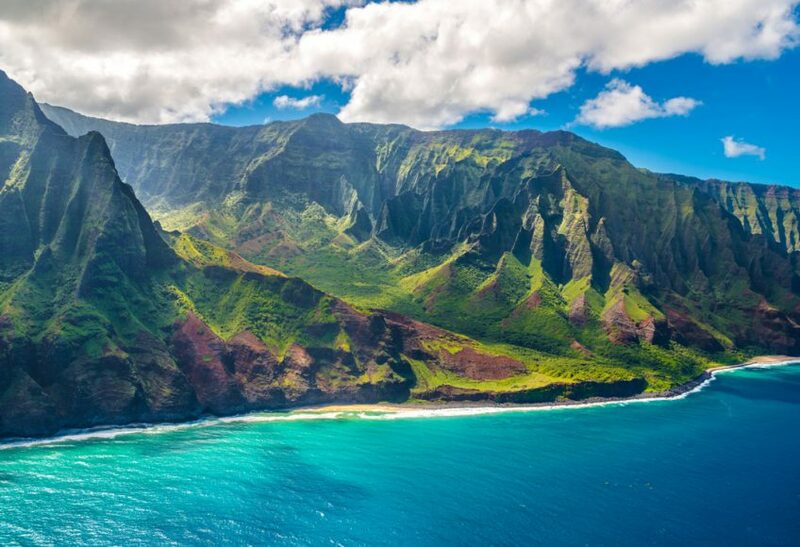 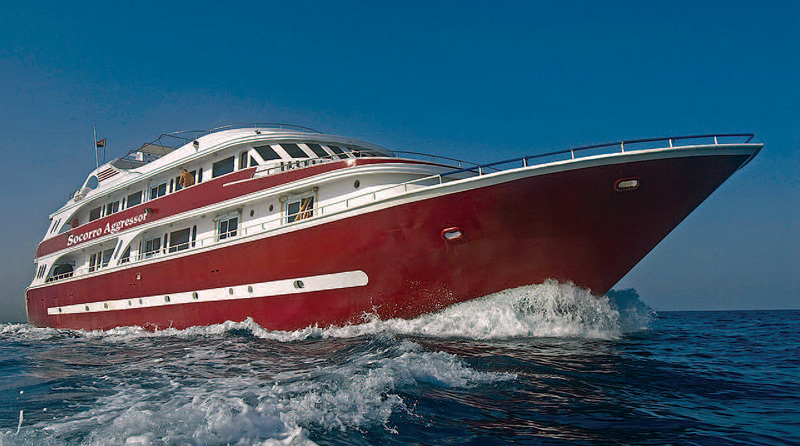 The adventure was organized by Jim Pearson of Oceanic Explorations. 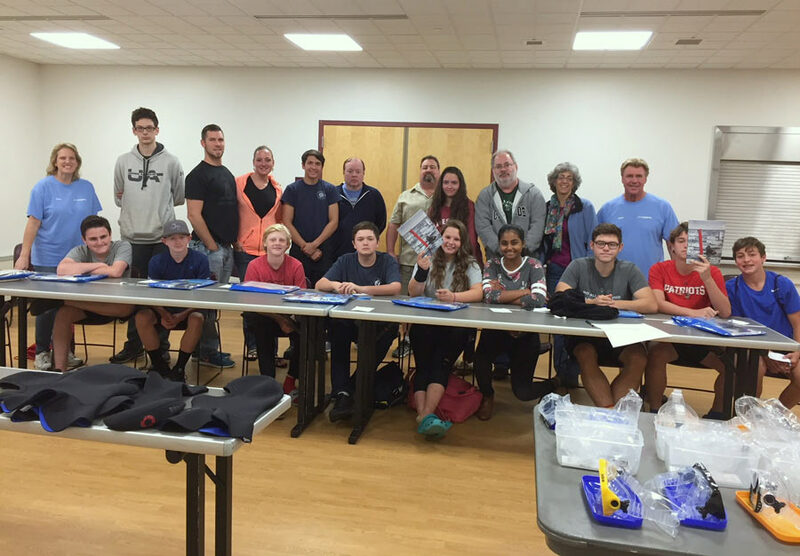 Sitting: Sara Chiu, Carol Chiu, Zach Probstfeld. 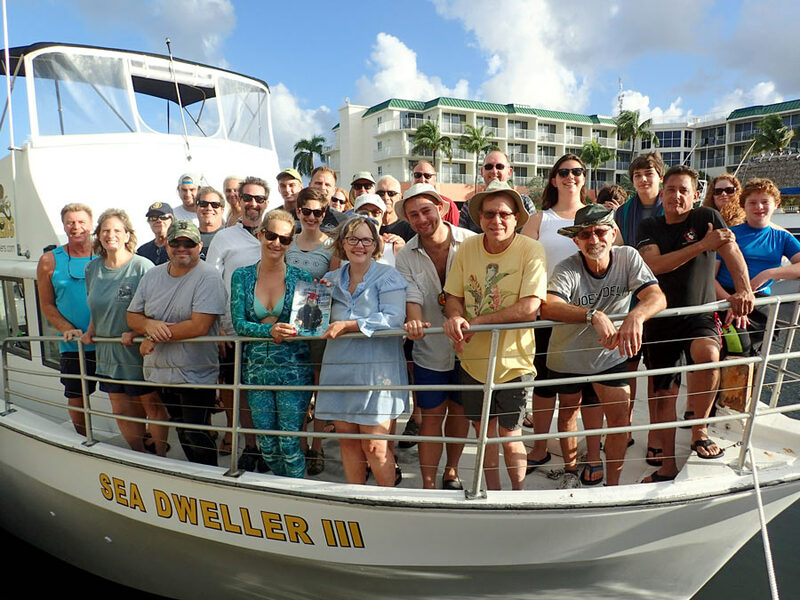 First row: Oscar, Carol Probstfeld, Mark Winter, Jodi Swenson, Nicole Grow, Cathi Pearson, Juan (“better Belize it”), Tracie Burdine, Gary Kawesch, Mike Probstfeld, Jim Pearson, Emalee Baptiste. 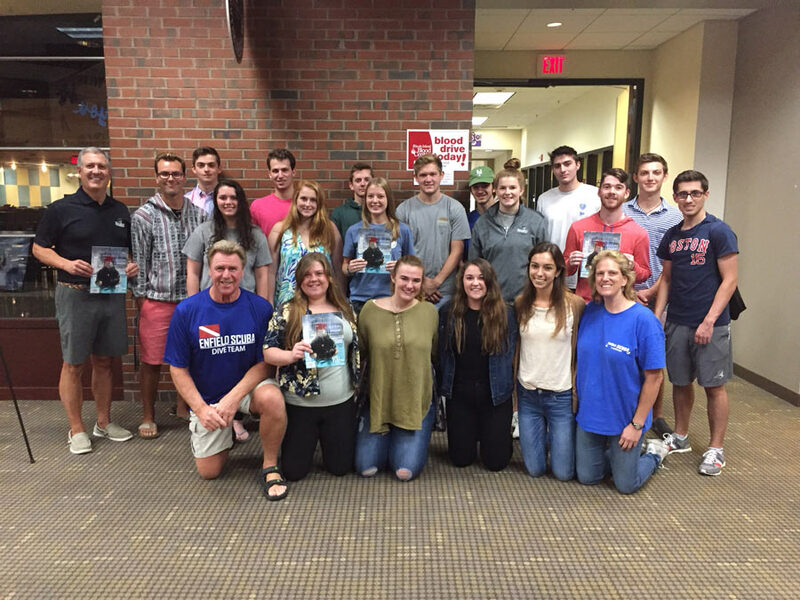 Back row: Geronimo, John Santy, Yannick Baptiste, Sten (Swedish lumberjack), Guy Swenson, Dan Burdine, Bill Murphy. 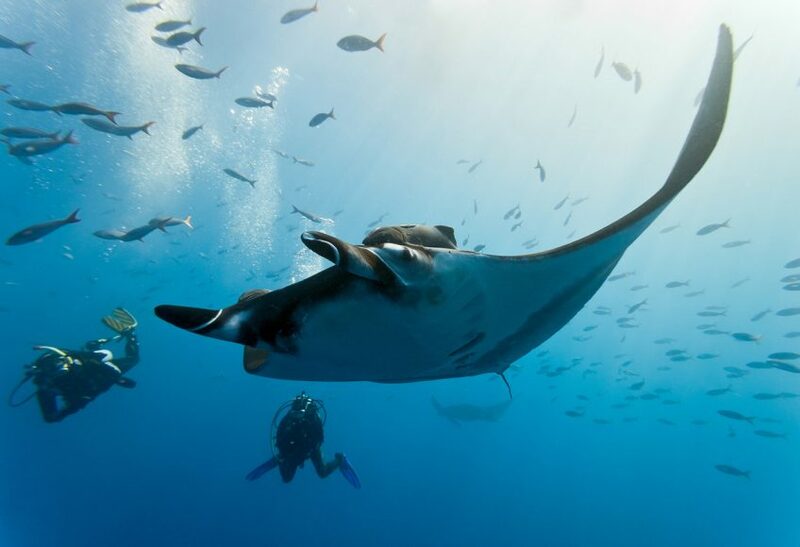 Not pictured: Captain “Manta” Ray, Anna, Felipe, Vicente, Jesus. 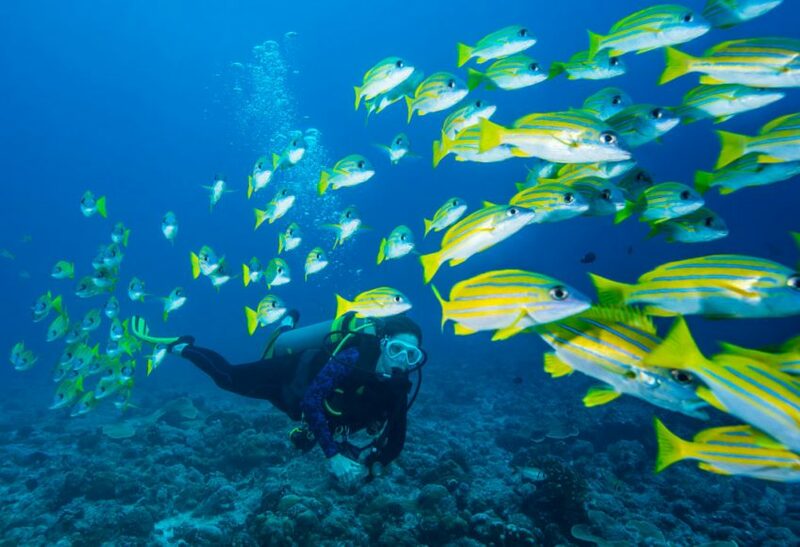 Ellan Swartz and divers from Blue Meridian Dive Center in Owensboro, KY, traveled to Barbados where they dove with High Tide Watersports. 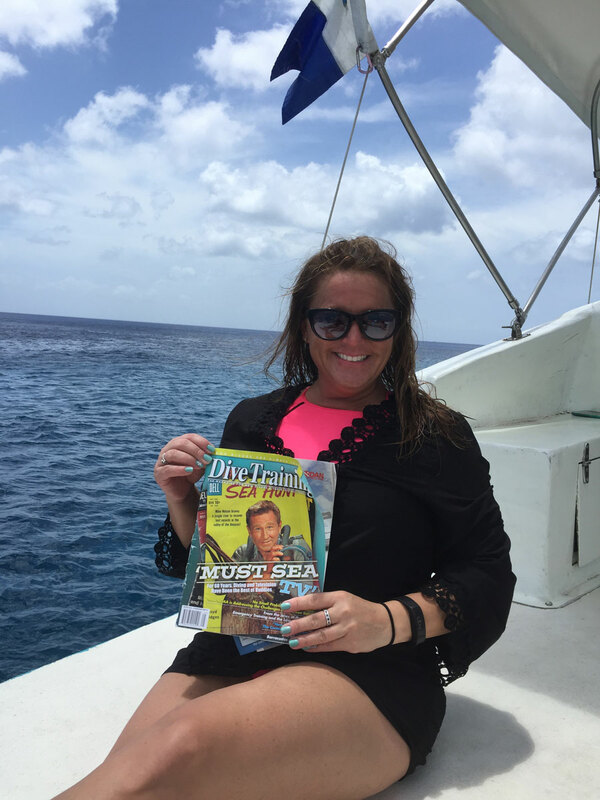 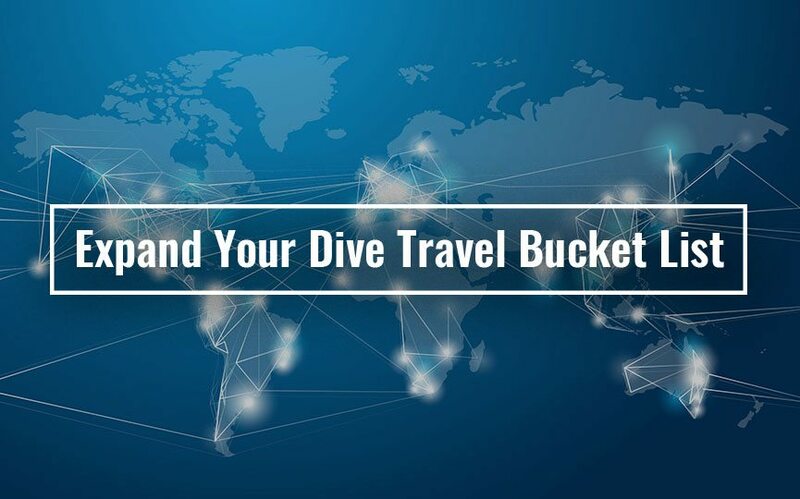 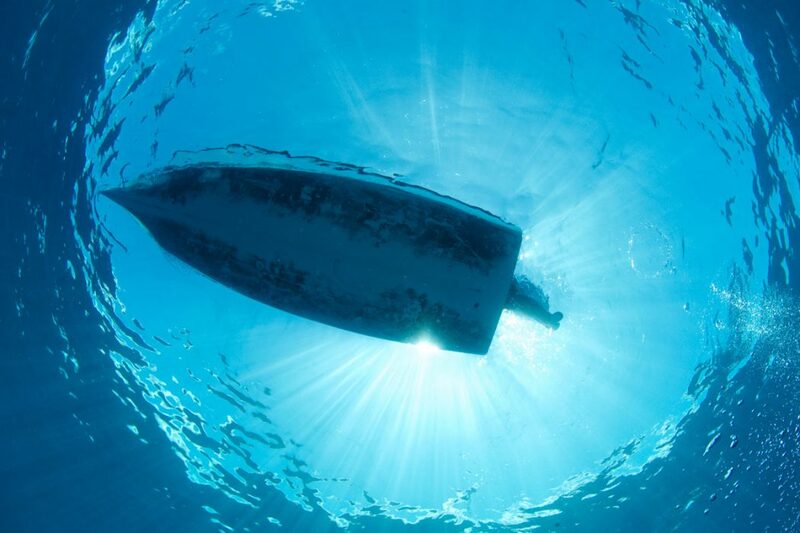 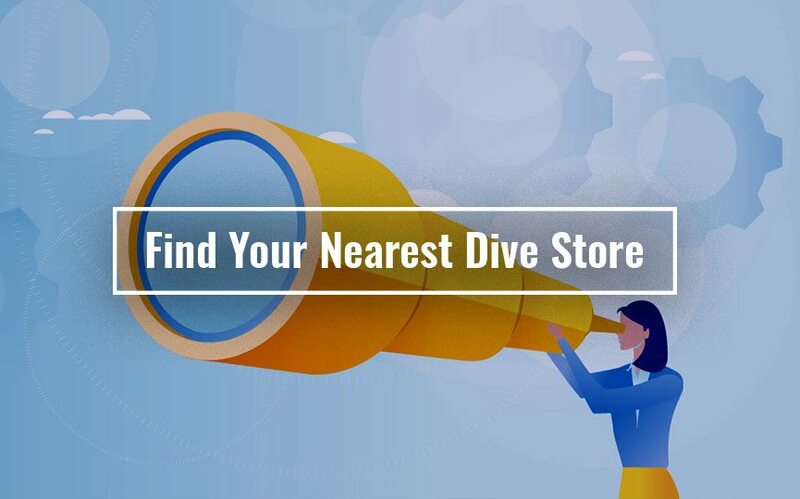 Michelle Miller caught up on reading between dives with Alex Scuba while on her fifth visit to Cozumel in three years. 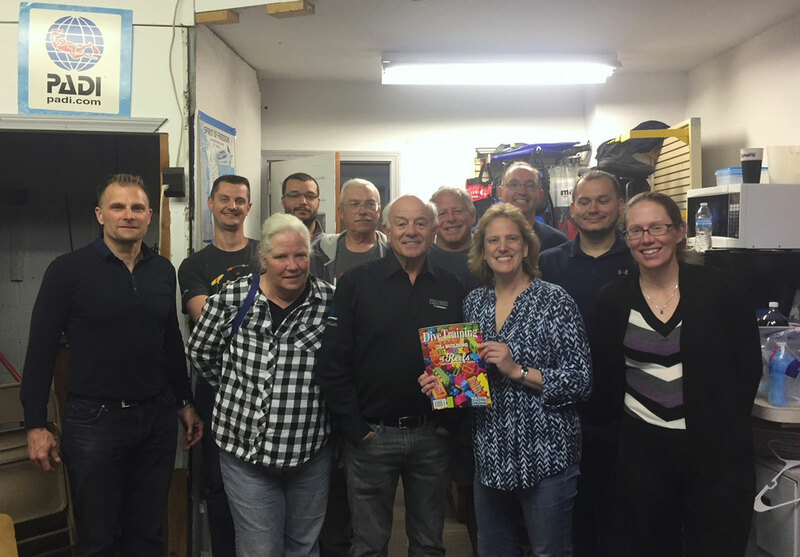 Instructors and Divemasters from Enfield Scuba, CT, met to review the new issue of Dive Training and plan fun summer events for students. 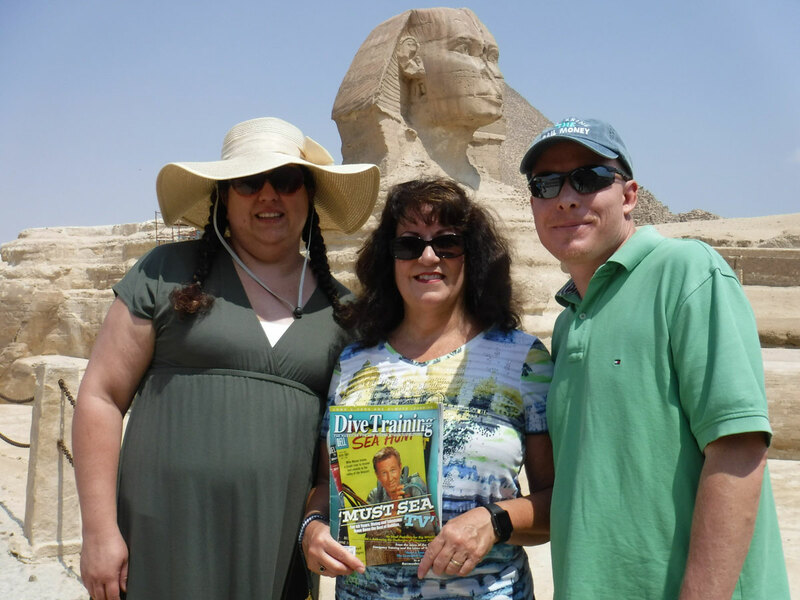 Kelley Banducci (middle) and Josh and Aja DeZeeuw went diving in the Red Sea while on a tour of Egypt over the summer. 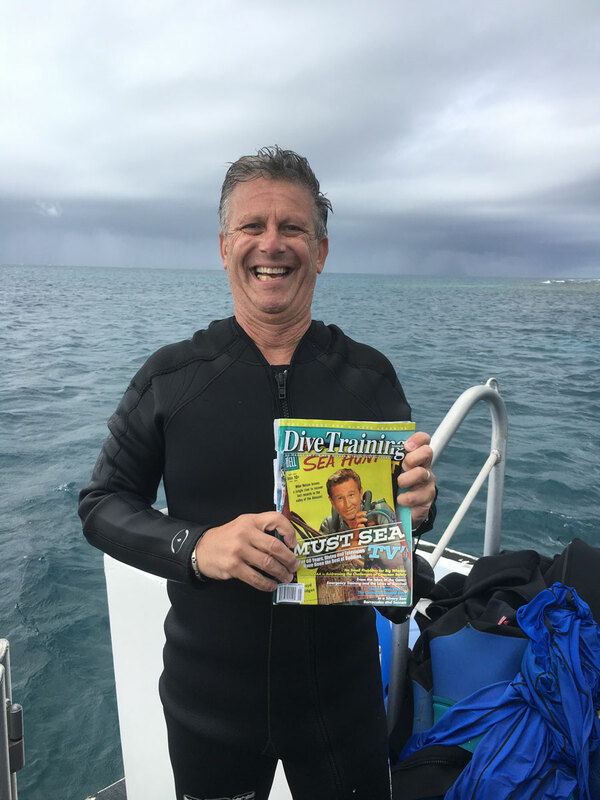 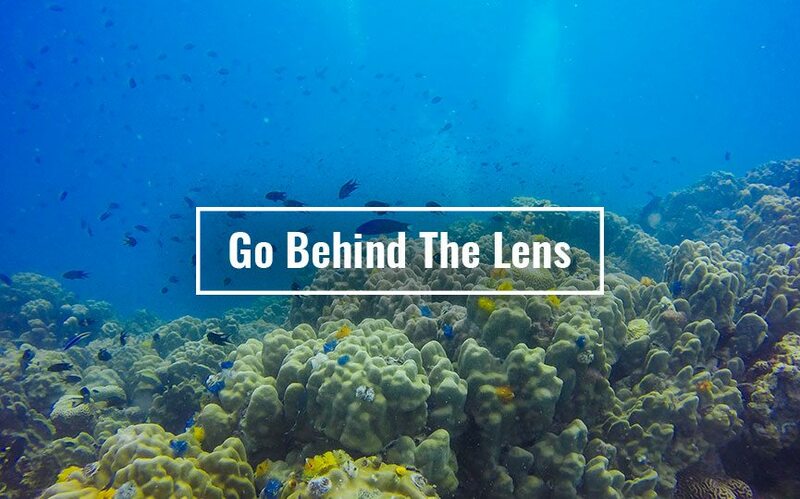 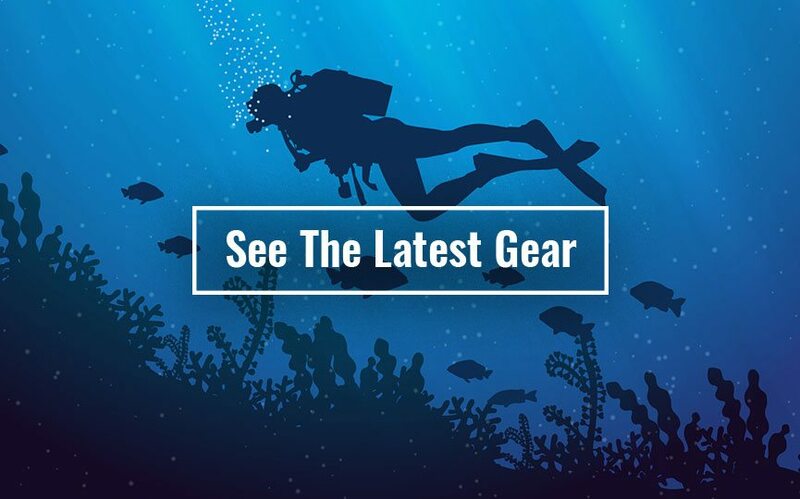 Joe Forti of Hillsborough, NJ, dove the Great Barrier Reef with the Cairns Dive Center. 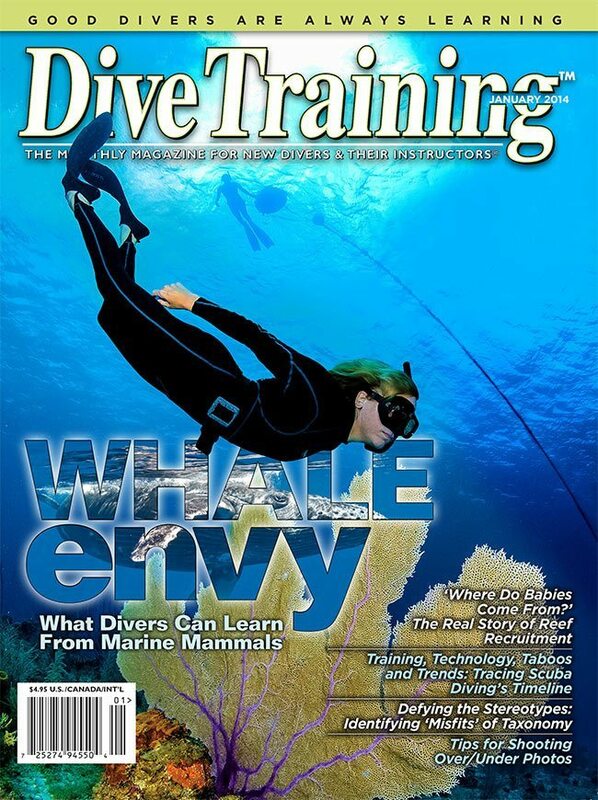 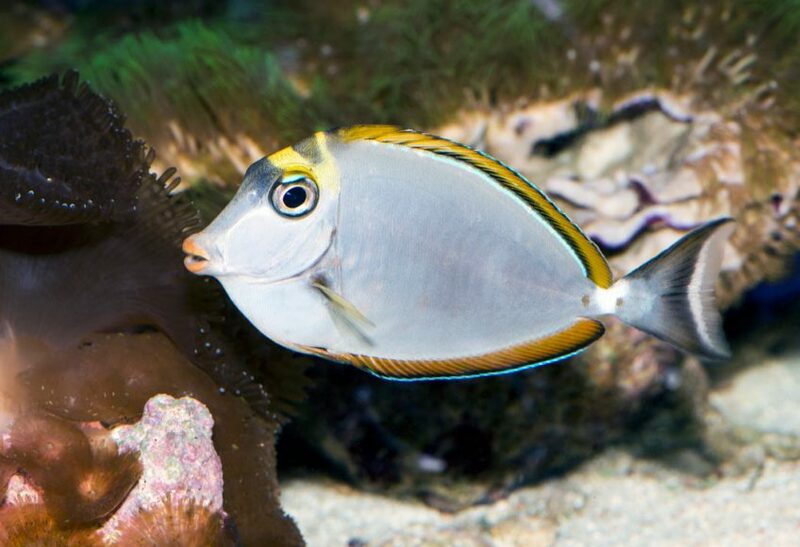 A crew of happy divers spent a week diving in Bonaire. 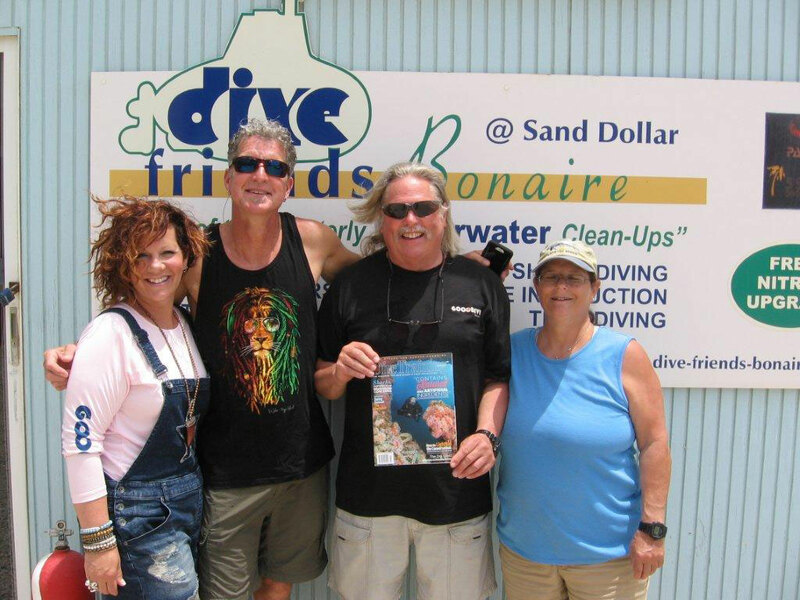 Left to right: Barbara Bishop, Jan Zeller, David Rose, Suzanne Rose. 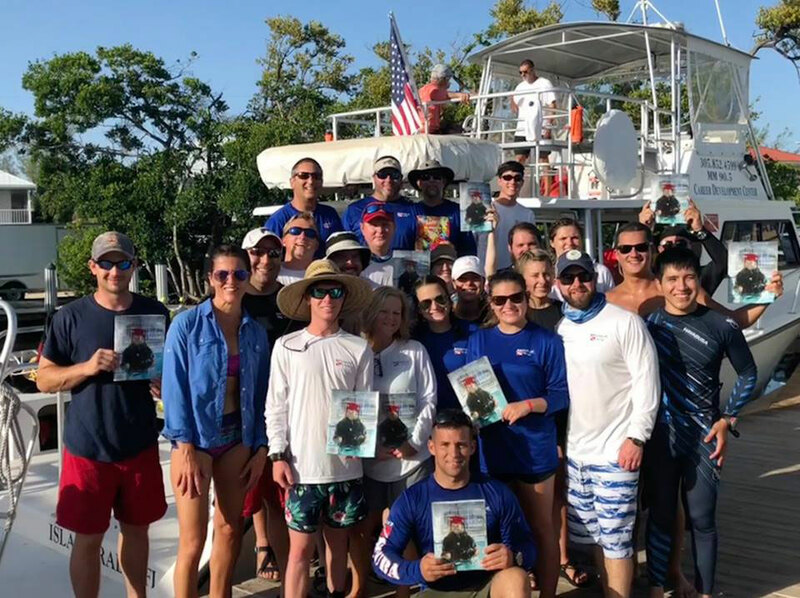 A group of divers from H2O Connection, LLC in Georgia enjoyed reef and wreck diving in the Florida Keys with Florida Keys Dive Center. 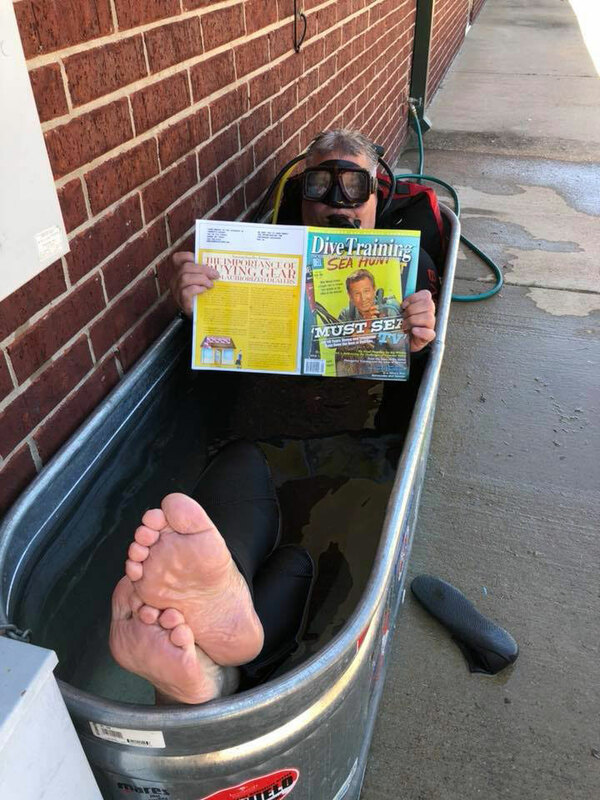 Divemaster Gary Honeysuckle from Sharky’s Scuba in Moore, OK, couldn’t wait to try out his new dive gear! 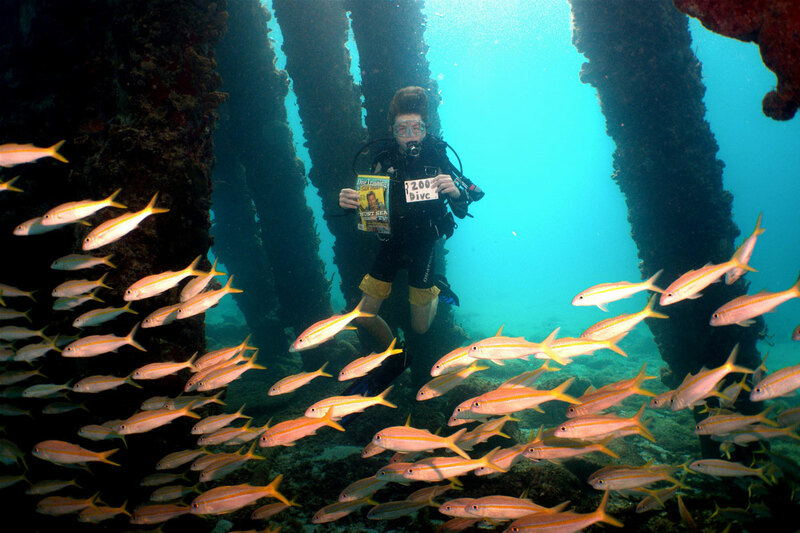 Evan Dykstra, 12, completed his 200th dive at the Frederiksted Pier in St. Croix, USVI. 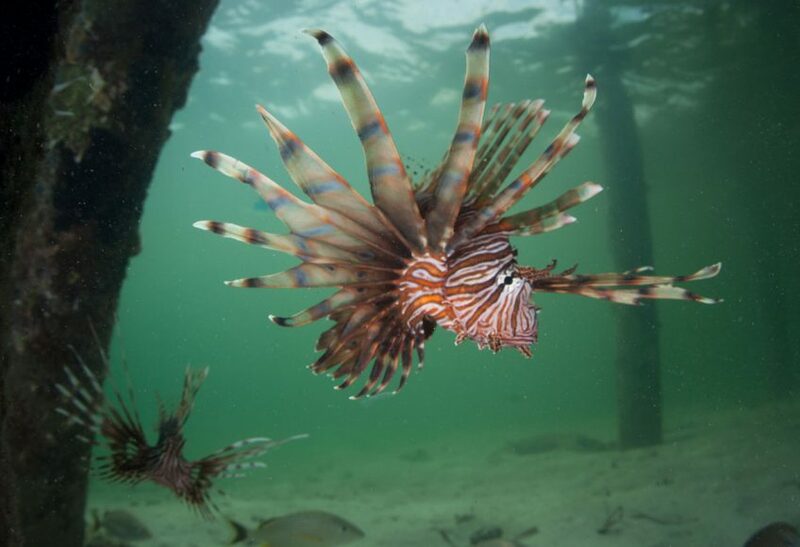 Earlier in the day he earned his Master Diver certification with Sweet Bottom Dive Center. 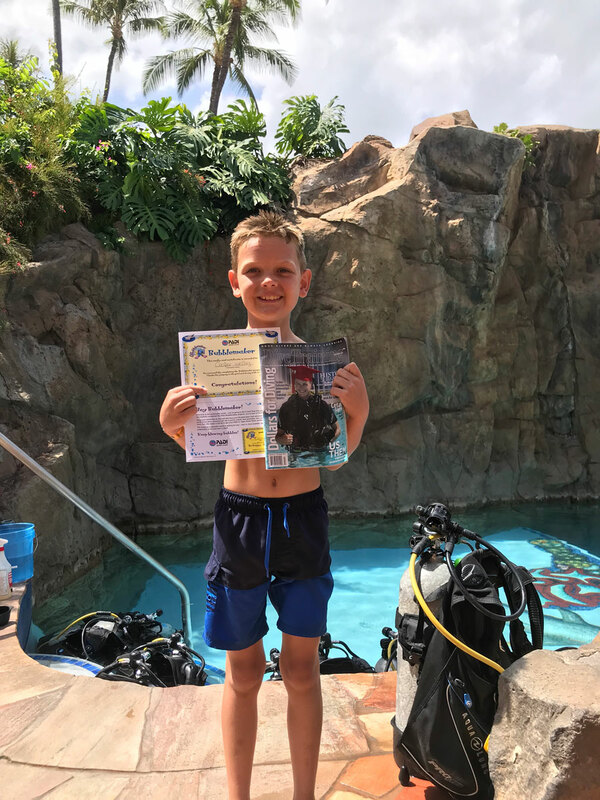 Cooper Welling of Jefferson City, MO, competed the PADI Bubblemaker program at 5 Star Scuba in Maui, HI. 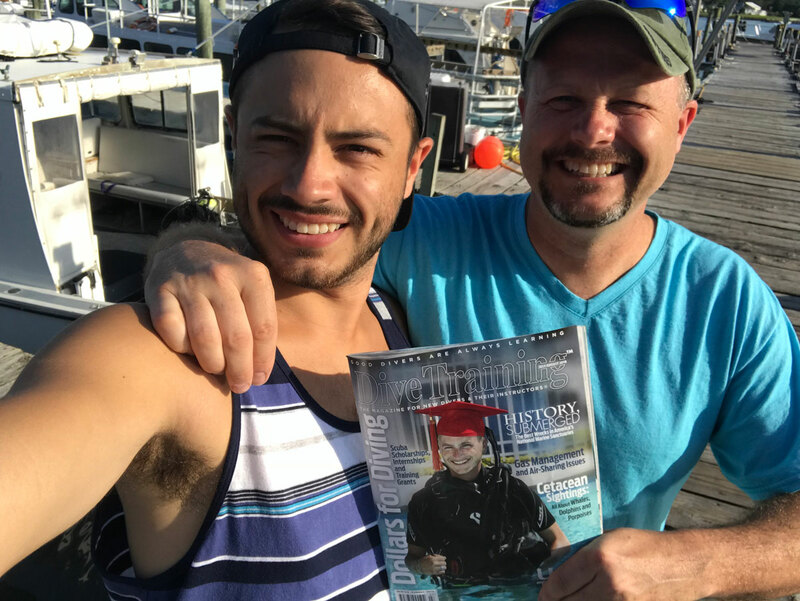 Father and son Chris and Cam Brann went wreck diving in Beaufort, NC, with Discovery Diving and Captain Leroy.